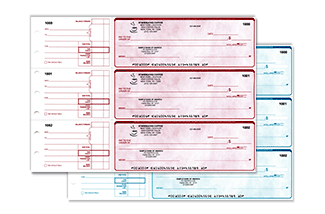 Blank checks have been a revelation in this digital era. These types of checks come with so much convenience, making payment very easy and convenient like never before. 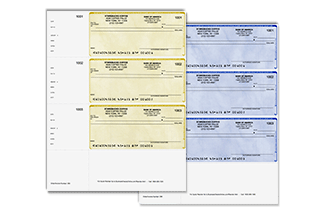 One of the obvious facts is that blank checks are very flexible making them very popular for businesses and individuals as well. 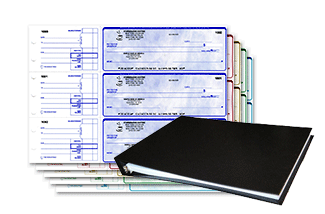 We offer high quality, custom made blank checks which are also compatible with any software that you may be using. 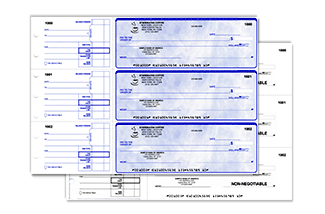 Preprinted checks require loading into the printer in an ordered manner as they are sequentially numbered. 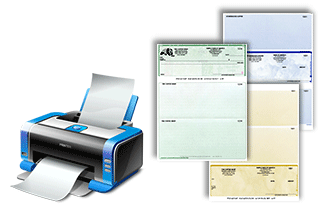 Error in feeding and paper jams may cause checks to be printed out of order, causing a major problem. Additionally, preprinted checks can easily be rendered useless by the change of bank account details or address while keeping preprinted checks for each bank out can be overwhelming. These checks also require purchase in advance. All the above drawbacks are easily eliminated by the use of blank checks, which don’t compromise security in any way on their road to flexibility, reliability and convenience. 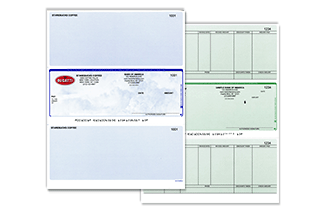 Some of the security features you will find on our blank checks include warning bands, visible and invisible fibers as well as secure backgrounds among others. Blank check on top – the blank check is on the top of the document with two stubs in tow. These kind of blank checks are very convenient for record keeping. 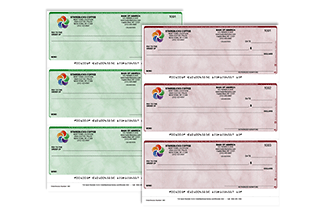 Blank check in the middle – the blank check is located at the center of the document with stubs a piece below and above. Blank check 3 per page – Just as the name suggests, here we have three blank checks on one page. They save on vouchers and hence economical. 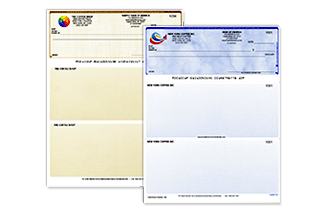 3 Blank checks per page for personal wallet – These are similar to the 3 blank checks per page, only that these are customized for a personal wallet. However, they can still be used for business. 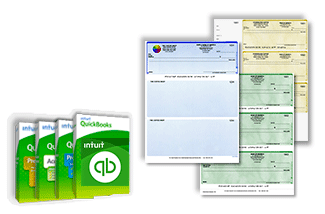 All the above blank checks are offered at the lowest price and are compatible with QuickBooks and Quicken. Needless to say, blank checks extend the realm of customization. You have the choice of imprinting your business name, logo and other business details in addition to working with various color options. 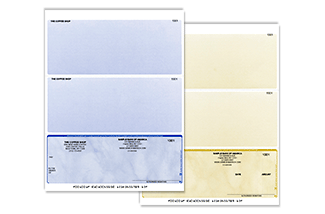 You can conveniently have your company colors on the blank checks with little hustle. Additionally, blank checks can be used with various bank accounts; all you have to do is input the relevant bank accounts details into the accounting software and change the same when you are working with a different bank account. Protection – advanced security features are in place for your complete protection against fraudsters. Control – compatible with software that prints the check, bank details and MICR in a single pass through the printer. Record keeping – most of the blank check types have vouchers that enable record keeping on both the payer and payee front. 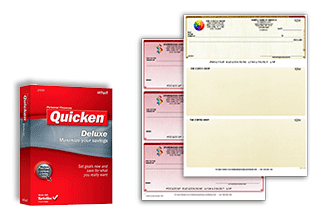 Enjoy quality checks – We guarantee the best quality on the kind of blank checks that we offer. 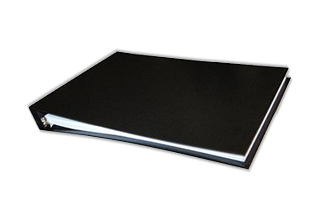 We have gone the extra mile to ensure that we produce durable, top-notch blank checks.